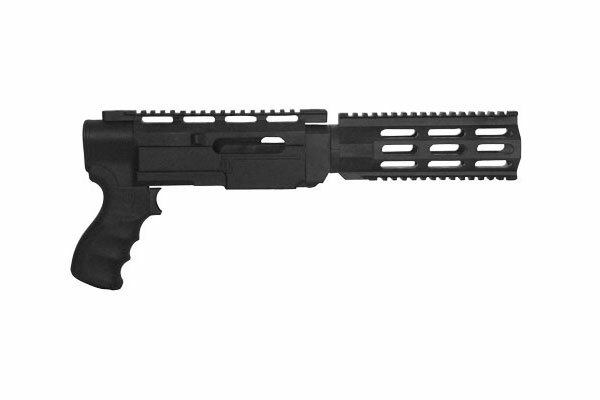 Convert your Ruger Charger pistol into the Archangel pistol. Manufactured entirely from Mil-Spec battle proven polymers the Archangel is no toy. The standard model includes: Upper receiver housing with integral Picatinny rail and lower receiver housing with pistol grip (built in storage compartment) and Free float handguard with Picatinny rails located at the twelve o'clock (top) and front hand stop at the six o'clock (bottom) positions.